FOS celebrate in style | First Option Software Ltd.
It’s been a great year so far for us all at First Option Software and in no small way this has been due to us being granted recognition by Her Majesty The Queen in the form of a Royal Warrant for specialist software services to the Royal Household. 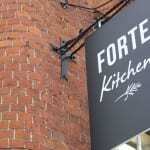 So to celebrate in style, we all enjoyed a fabulous warm summer’s evening out at the recently refurbished Forté Kitchen in Winchester where some 35 guests, including clients past and present, staff, friends and suppliers joined us for drinks, buffet supper and an informal knees-up. 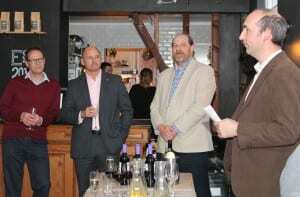 Amongst the guests were Steve Brine, Conservative MP for Winchester and Steve & Sally Skilton, original owners of First Option Limited. 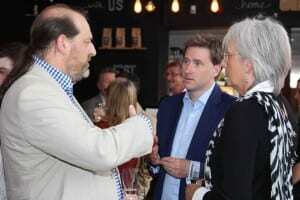 Managing Director Matt Clarke welcomed guests with a brief informal speech and co-directors Mike Edwards and Richard Turner were on hand to meet, greet and mingle with all. 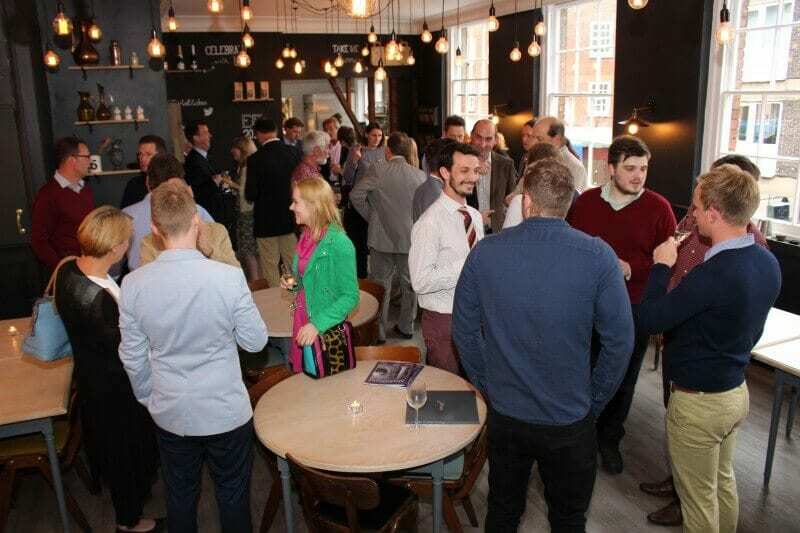 Judging by the empty plates later, not to mention one or two late night social media posts, a good time was had by all and the delicious food and drink served by Forté’s new owners Olly and Naomi went down extremely well. Now, how can we top that? Perhaps by being announced as finalists for a prestigious Business award?